Common / Worst Passwords of 2013 - 123456 tops the list! 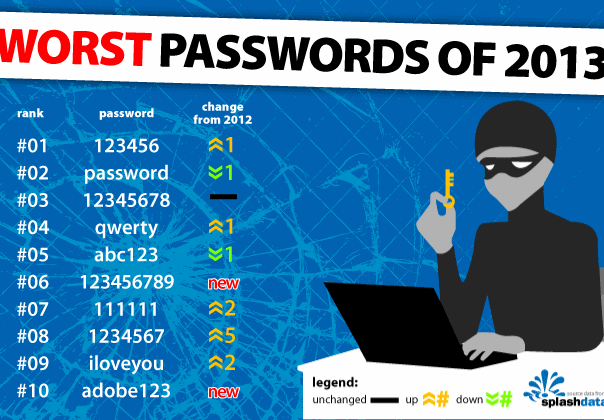 Common / Worst Passwords of 2013 – 123456 tops the list! Its always fun to see peoples choices when it comes to selecting passwords. Sometimes its embarrassing too when somebody else comes to know about your silly password. Believe it, everyone does have had password that sounds very common and silly. As of 2012 “password” topped the list of Worst passwords and now according to the new list released by SplashData, in 2013 “123456” topped the list and “password” fell to number two, followed by “12345678“. SplashData, a Software company that provides password management tools, has compiled this annual list from stolen passwords leaked online over the past year that includes a massive leak of Adobe user account detail. It is evident that a lot of internet users choose easy to remember passwords that can put themselves at risk. Realising this security issue, SplashData has been coming up with this kind of initiative only to make you aware of the risk. 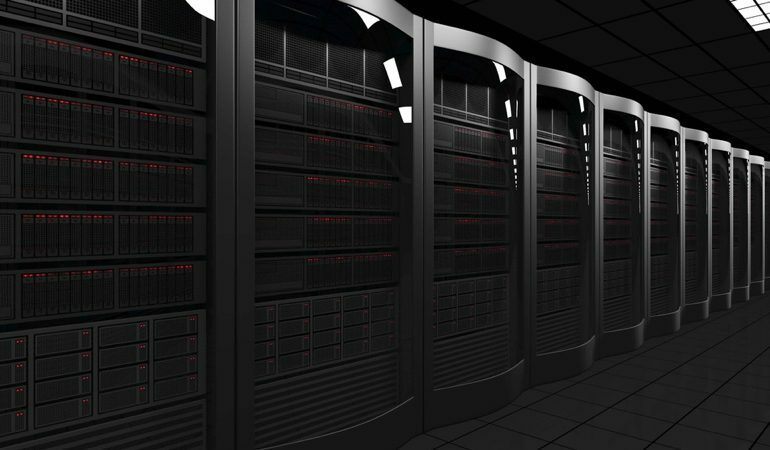 They recommend password management softwares that can automatically log in to websites, allowing users to create strong passwords that they don’t have to remember. We will see the best password managers available in a few days.